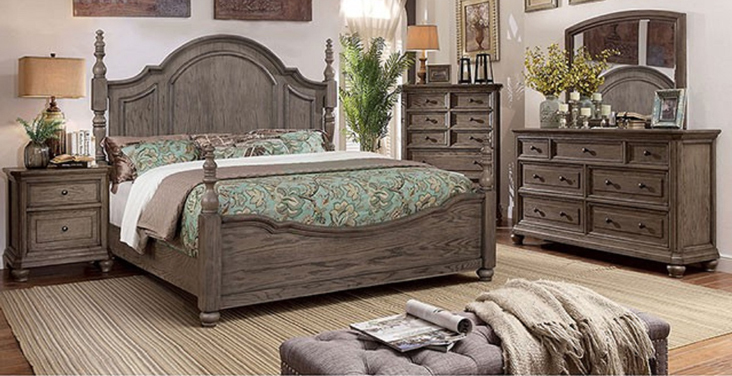 Wire-brushed gray delivers a rustic home aesthetic with this sophisticated bedroom set. 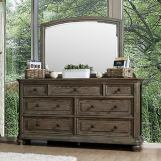 The wire-brushed finish is uniquely crafted to show natural wood textures and farmhouse style vibes. 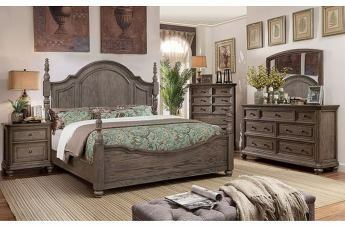 The elegant headboard is gracefully defined by wood lined accents that contour the soft curves with refined details. 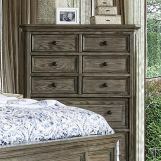 A bowed footboard complements the curvy design while turned corner posts and smooth bun feet add traditional elements. Case goods blend beautifully, storing essentials within spacious drawers. 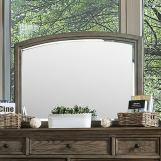 Conveniently charge devices with USB charging built right into the handy nightstand and store delicate items inside felt-lined top drawers.